A two bedroom semi detached home, conveniently located approximately half a mile from the centre of Dalton. 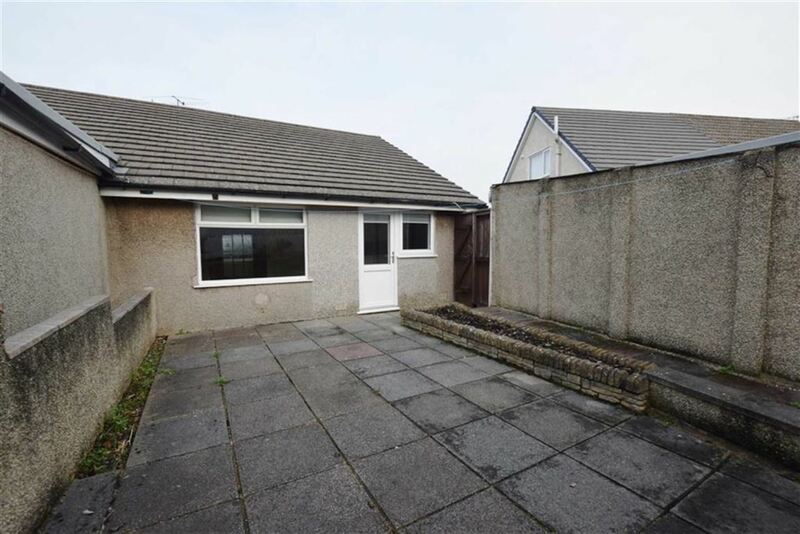 The house is fully double glazed, has central heating, and a single garage. 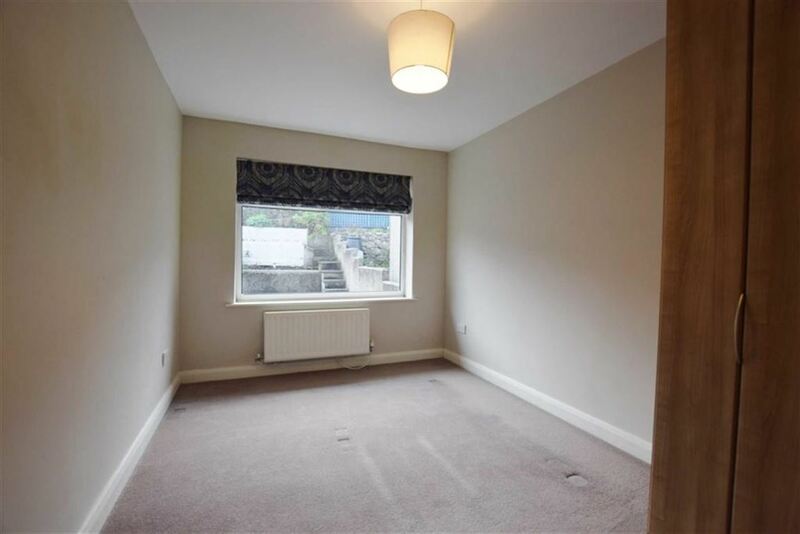 The property comprises of; spacious kitchen with plenty of eye level and bare level units as well as integrated appliances. You will also find superb views over Dalton. 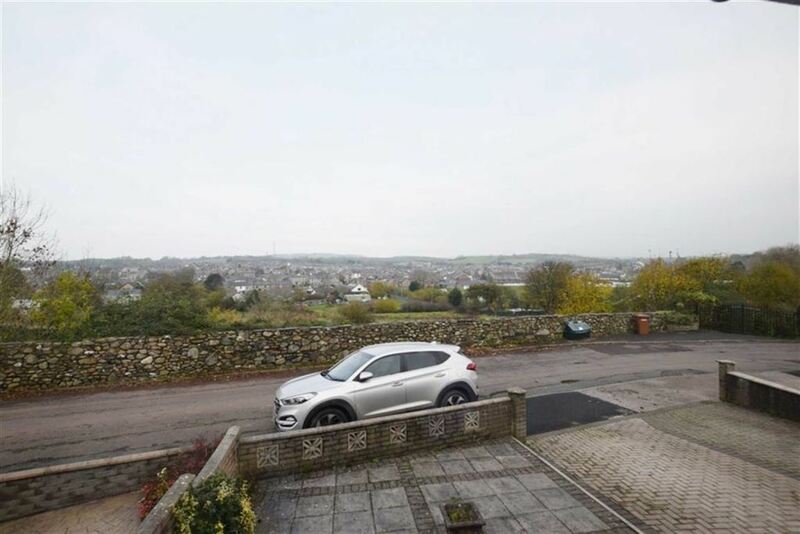 The property also includes off road parking, as well as front and rear gardens. UPVC double glazed window to the front aspect. The central feature is the feature fireplace with stone surround and hearth. Double radiator with thermostat. Six double power points, telephone point and TV aerial. 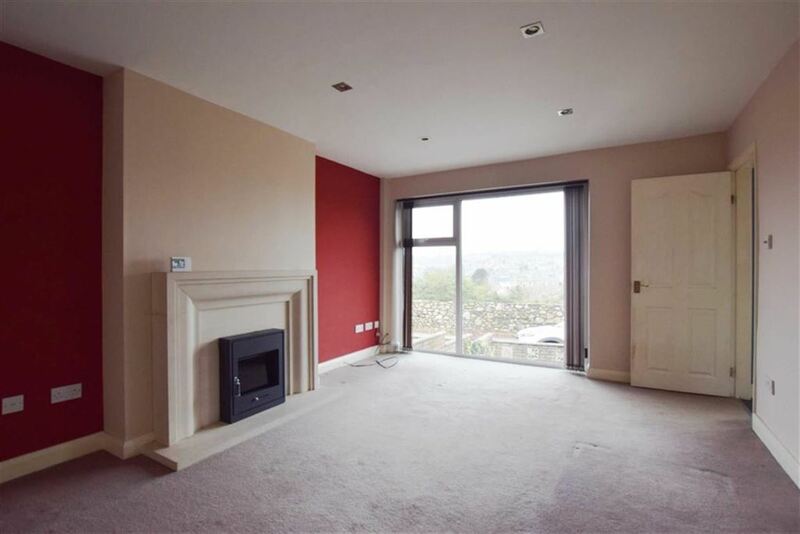 The room has a light brown carpet with dark red and cream walls. Doors to the inner hall and kitchen. UPVC double glazed window to the side aspect.. 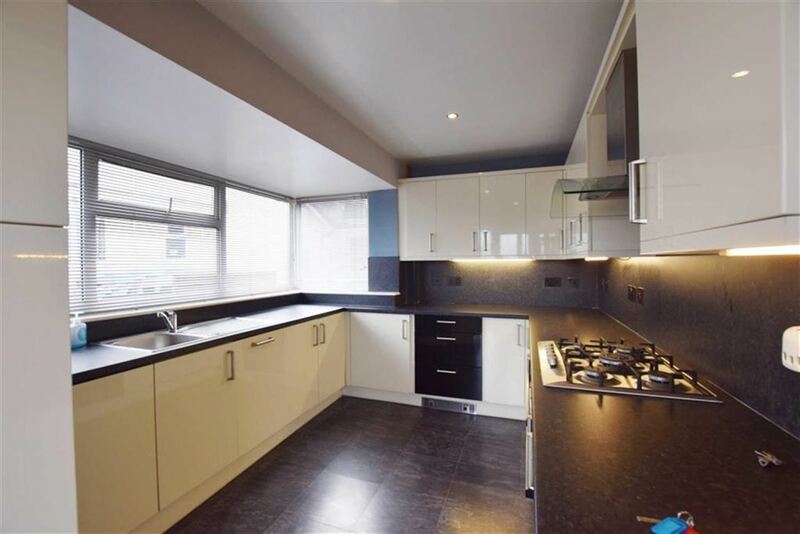 The kitchen has been fitted with good range of modern flat fronted base and wall units with metallic handles, pelmet lighting and a granite style work surface. Single stainless steel sink with mixer tap. Fitted appliances to be included in the sale - Filter cooker hood with fan and light. Beko four ring hob plus wok burner, double fan assisted oven with grill. Recess and plumbing for washing machine and slimline dishwasher. Six double power points, extractor fan Slate style floor and door to the lounge. Wall are painted a grey/blue colour. UPVC double glazed window to the front aspect. Double radiator with thermostat, three double power points. Decor of light brown fitted carpet with light grey shaded paint on all walls. UPVC double glazed window and door to the rear aspect. Double radiator with thermostat, two double power points. 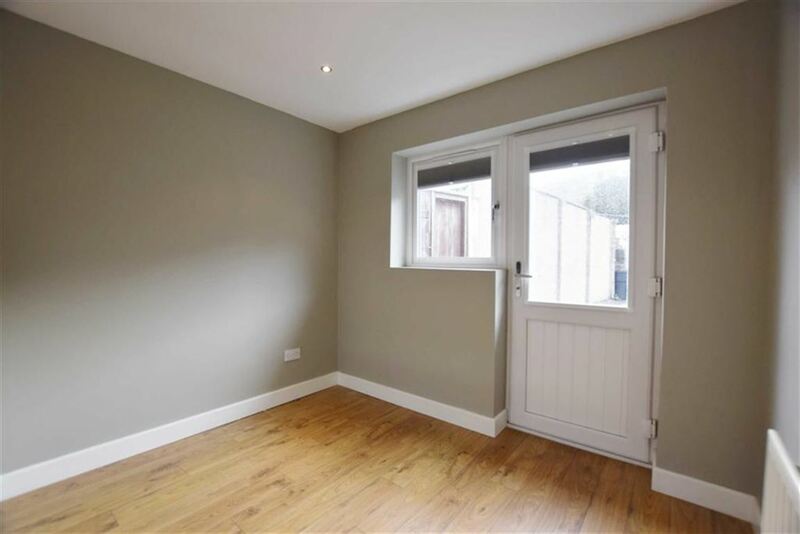 The walls are painted in a shade of grey and with a built in wardrobe. UPVC double glazed window to the side aspect. Fitted contemporary suite in white. 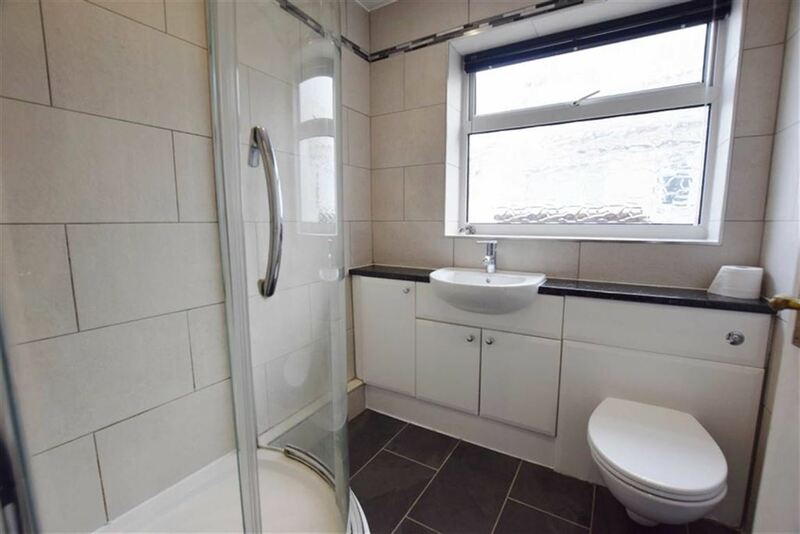 Low level flush WC, wash basin with pedestal shower cubicle with shower. Full tiling to the walls and chrome towel rail. The front garden is paved and has a low wall around the boundary. There is a block paved driveway with off road parking for several cars. At the rear there is an easy to maintain paved garden with raised flower bed, separating the patio and pathway. 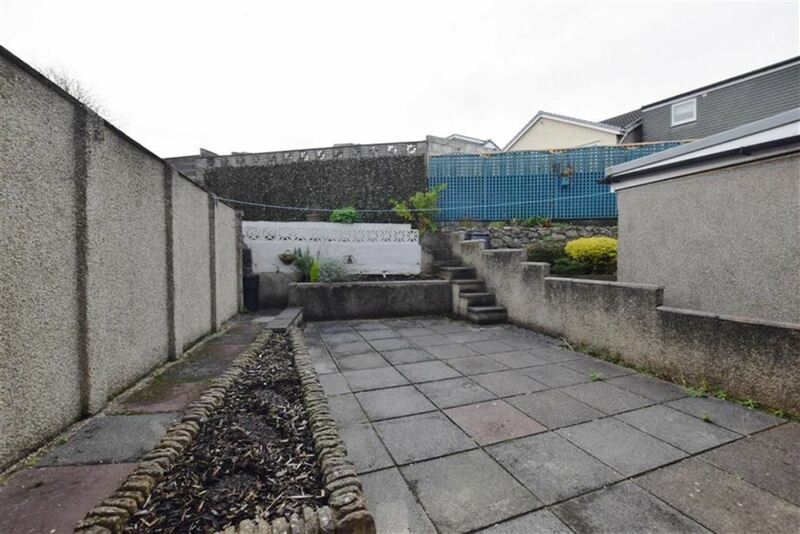 At the rear there is a small wall and flower bed behind, with steps taking you up to an additional paved area with another small wall and flower bed behind.